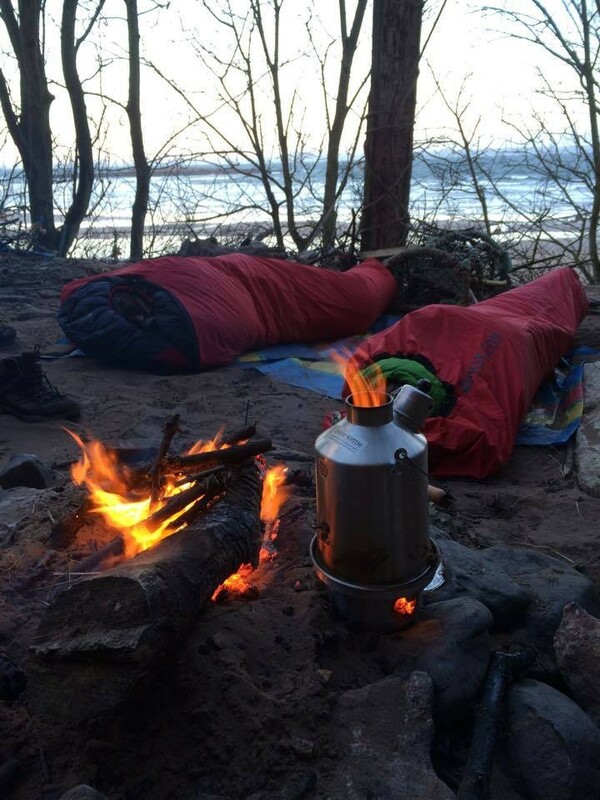 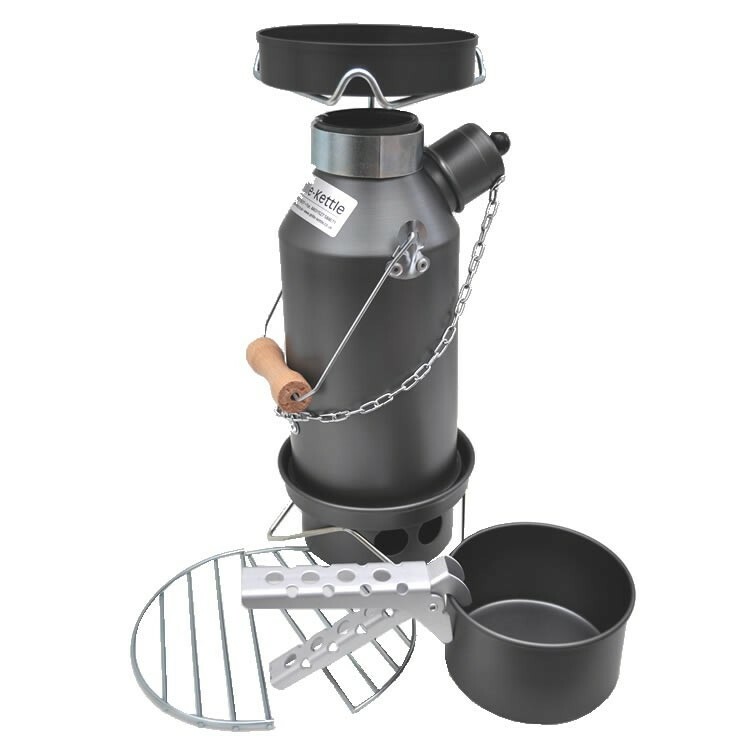 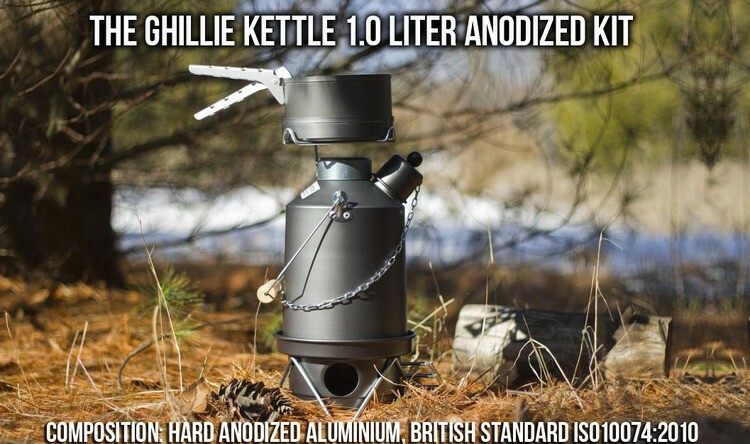 Ghillie's Top of the Line Hard Anodised Camping Kettles - Choose from 6 Configurations! 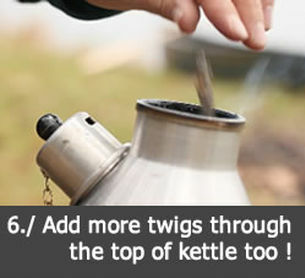 Top of the Line Ghillie Kettle! 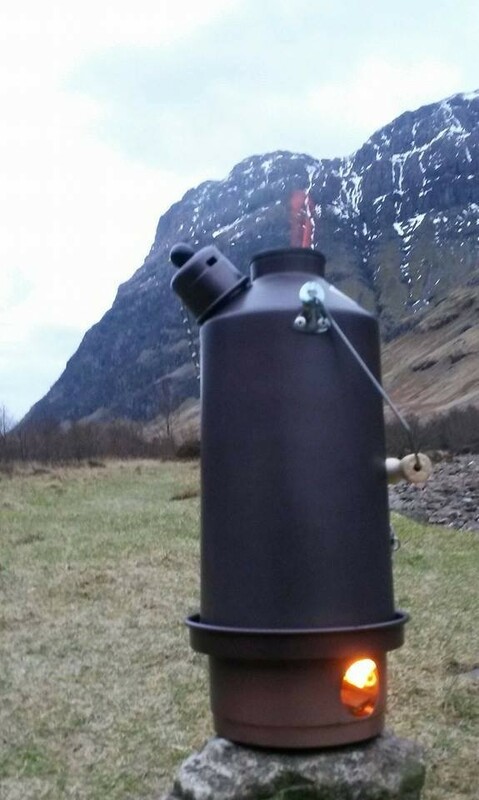 The classic wood fired volcano camping kettle. 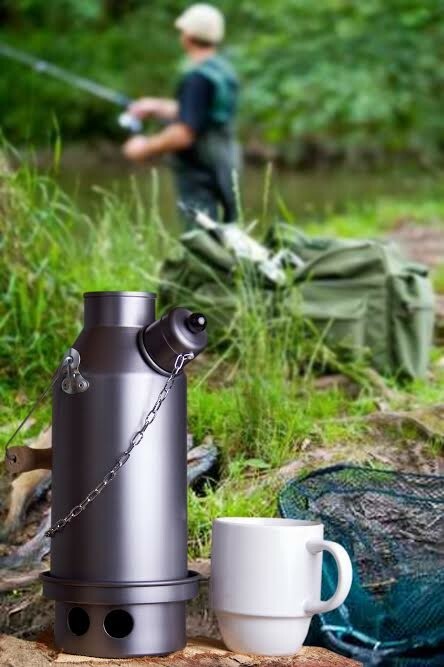 The hard anodised aluminium provides added protection and durability! 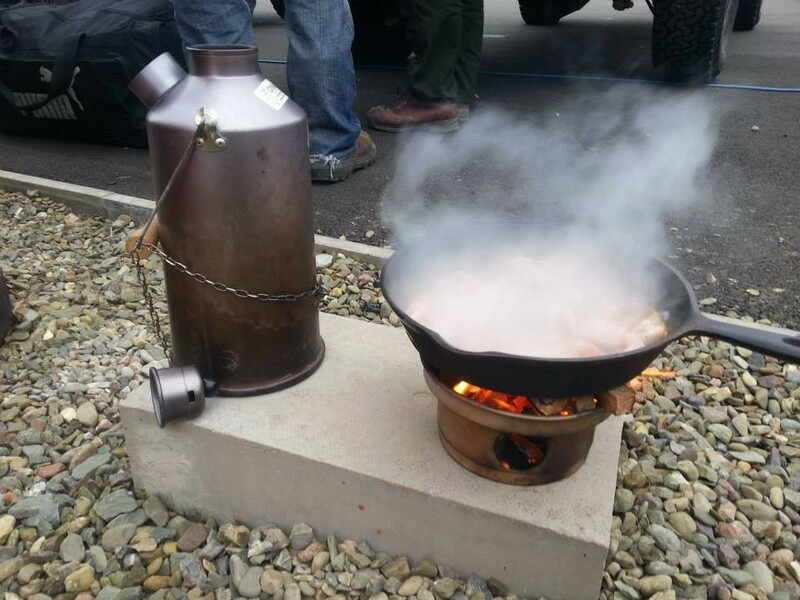 Welcome to Ireland. 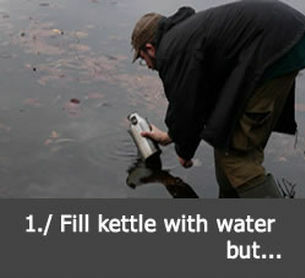 Or Africa. 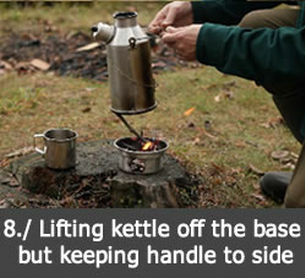 Or Canada. 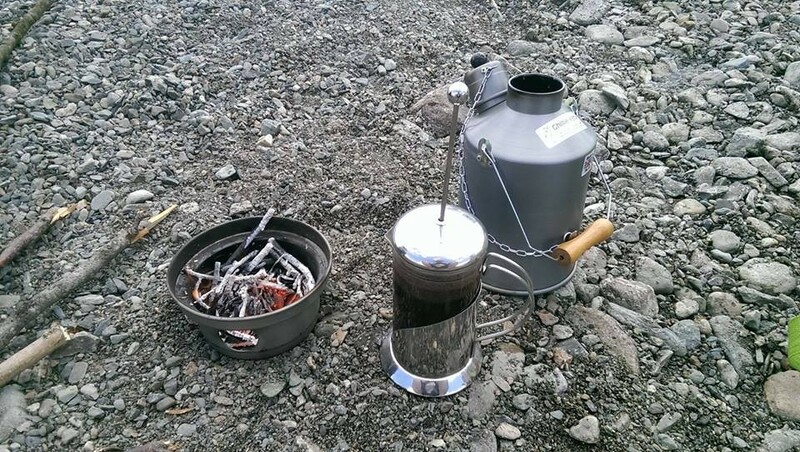 Welcome to wherever you hike, backpack, and test the spirits of nature. 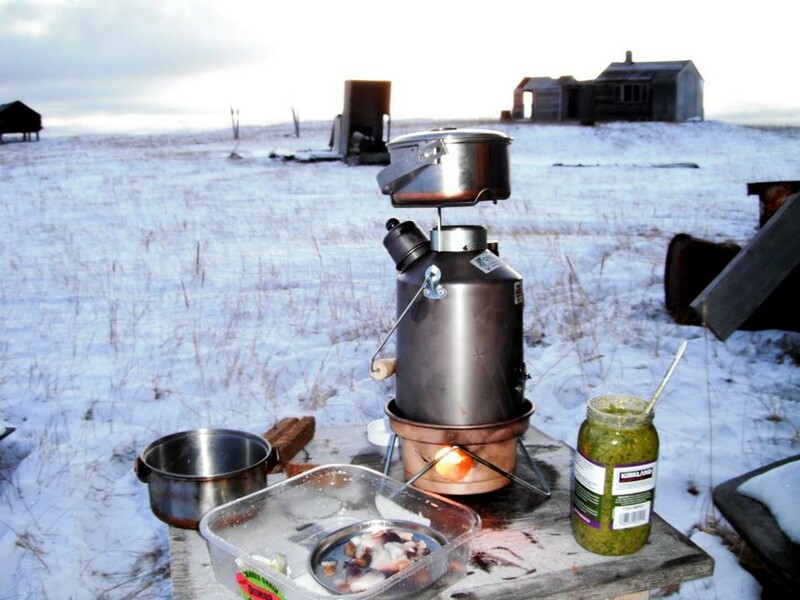 Welcome to wherever you enjoy your freedom, piece, and harmony. 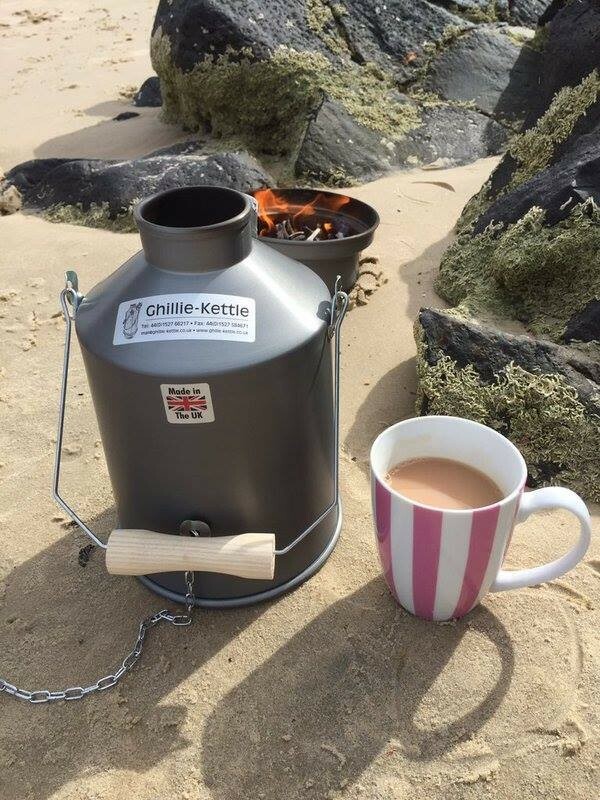 A Ghillie kettle will help you feel at home here. 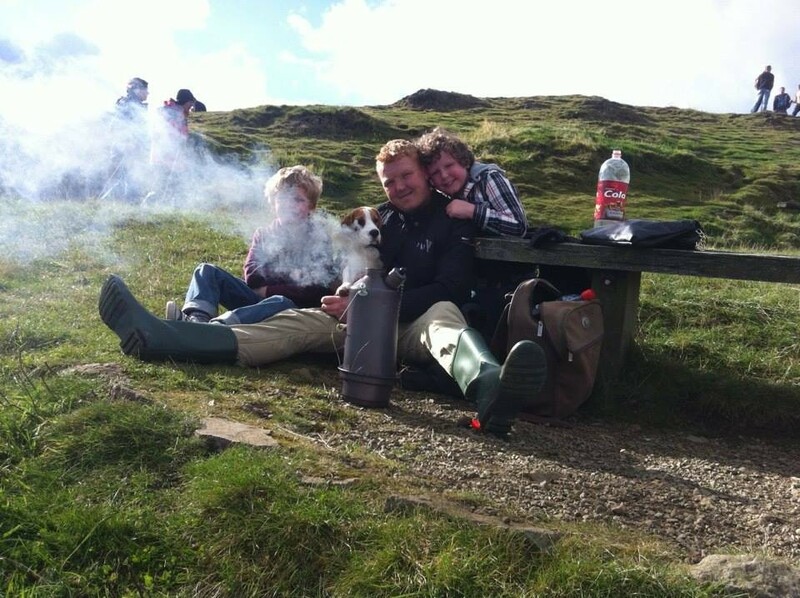 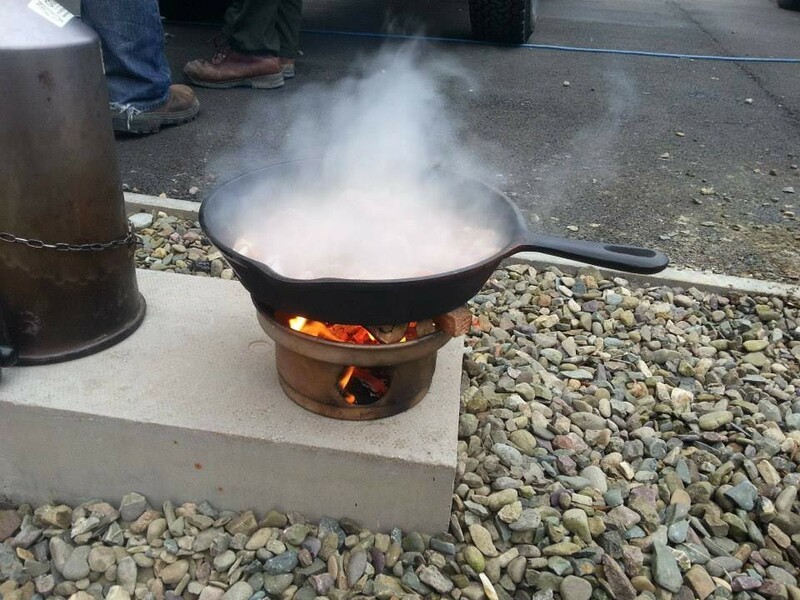 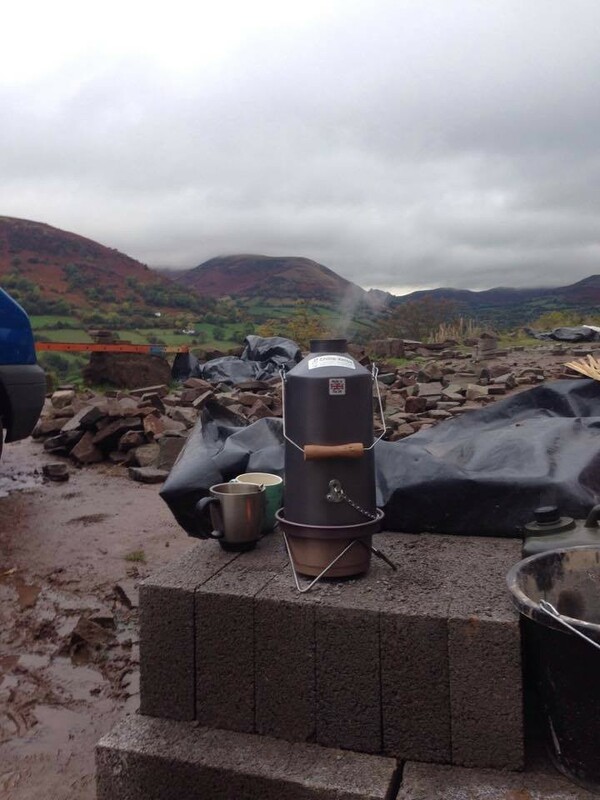 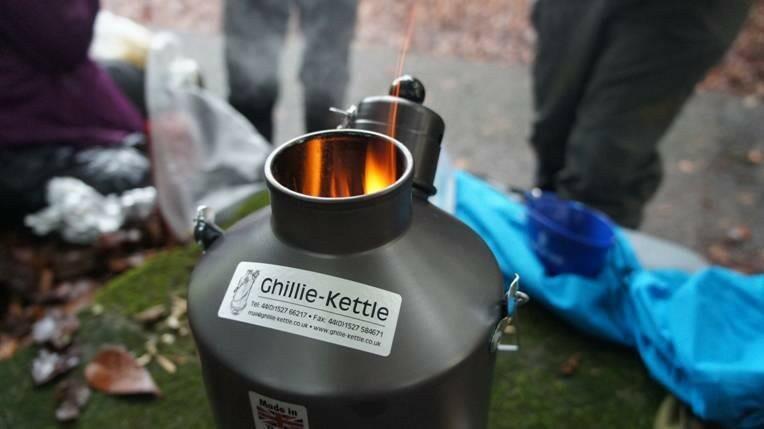 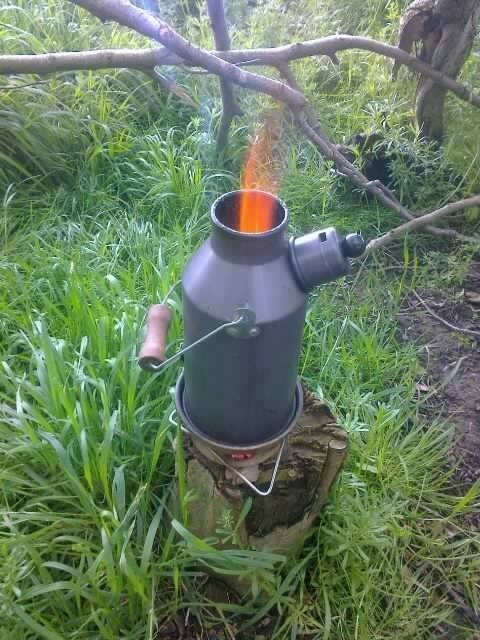 A Ghillie kettle is a traditional "volcano" kettle first made in Ireland in the 1800s. 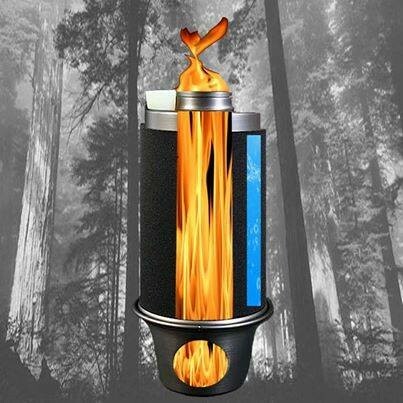 It's a cylinder filled with fire, with water stored between the double walls around it. 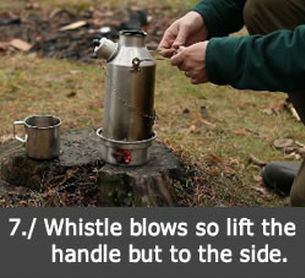 Light the fire, wait just a few minutes for the whistle - and you are drinking a cup of hot tea, anywhere, on your own terms. 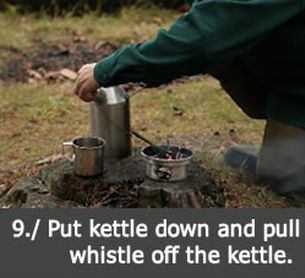 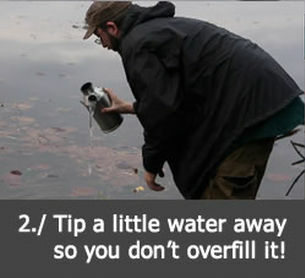 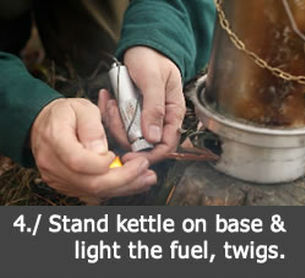 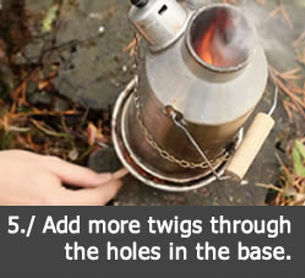 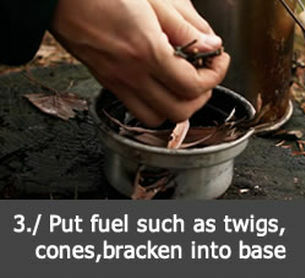 The base of the kettle can also be used as a small cook stove. 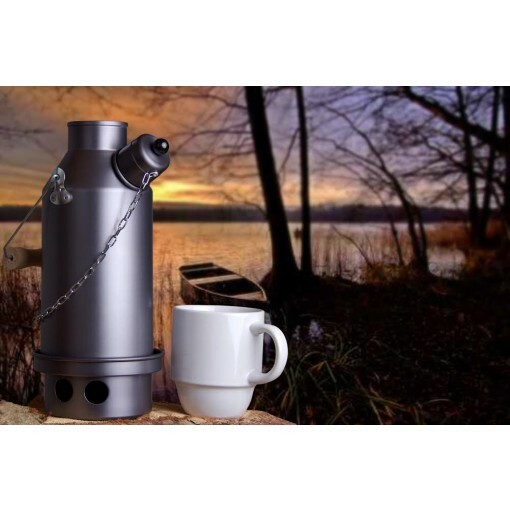 Anodisation is primarily used to toughen up the outer shell of the aluminium and is also an easy way to add color to your piece. 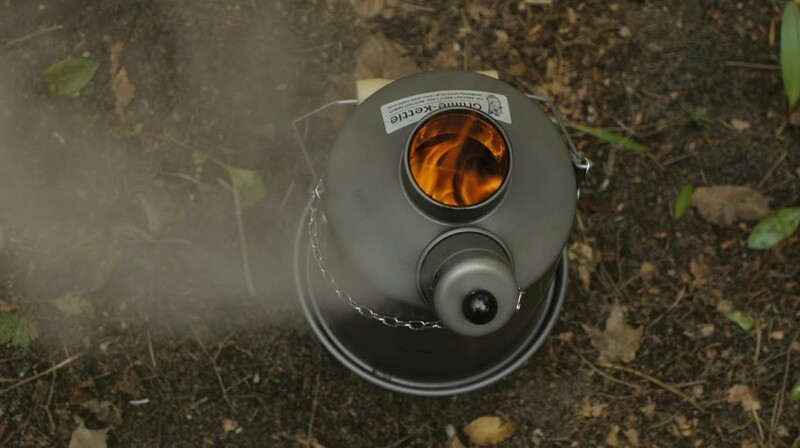 What the process actually does is creates a aluminium hydroxide layer on the surface of the metal. 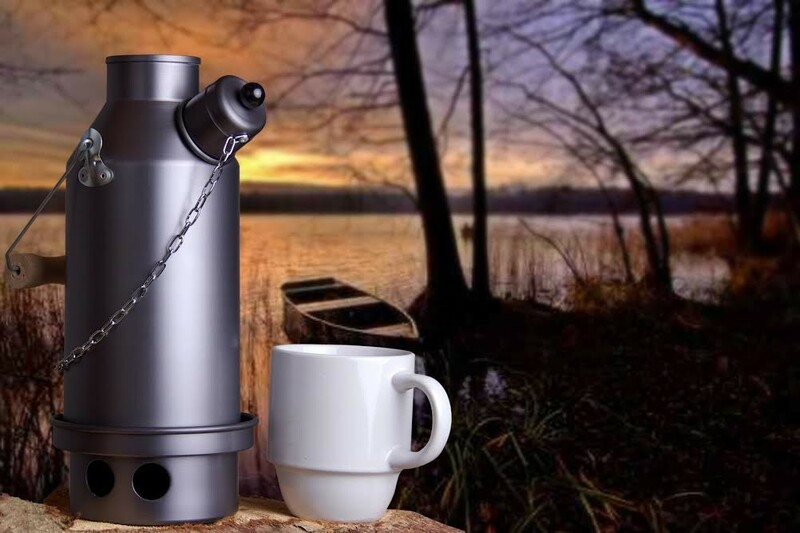 After the process is complete the aluminium is no longer susceptible to nicks and scratches to the surfaces because the pores of the metal have tightened up creating a harder surface. 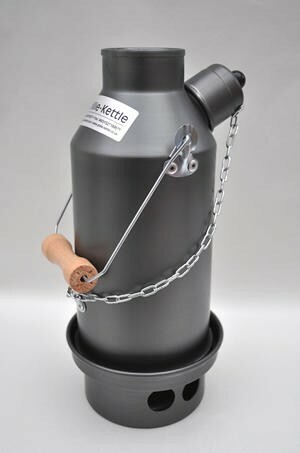 The Result of Hard Anodising is that you get a thicker stronger coating which is approximately 2-4 times stronger than the normal Anodising process. 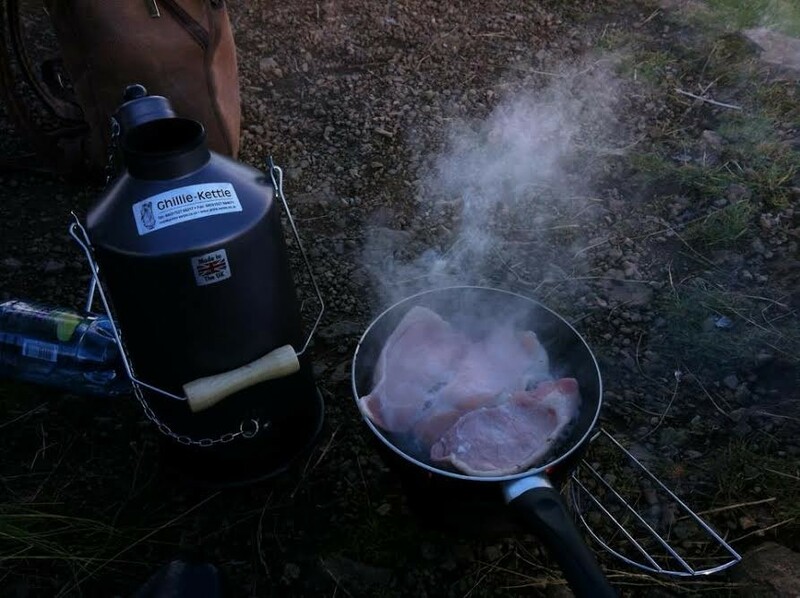 It's as close as you can get to titanium while still using an easily machinable aluminium and stronger than stainless steel, with the added benefits of being lighter (a necessity when camping or travelling long distances) boiling water quicker and, importantly, unlike stainless steel, it won't rust!